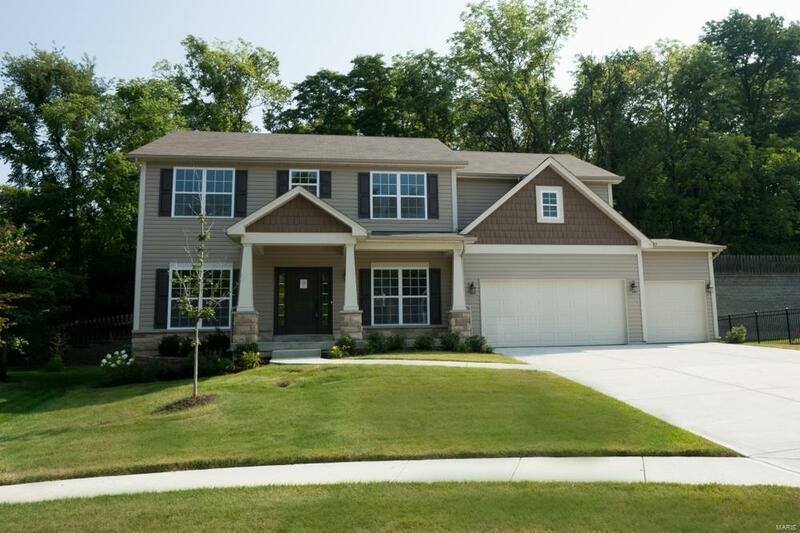 Impressive Classic 2-Story Home with Craftsman Style Front Elevation, 3-Car Garage. Luxury E X P A N D E D Kitchen with Oversized island. 42 Off-White Cabinetry, Hood, Gas Cooktop, Built-In Microwave over Convection Oven, Granite Countertops. Wood Veneer flooring in Foyer, Dining Room, Study, Family Room, Kitchen and Breakfast Room and Powder Rm. Spacious Master Bath with Separate Tub, Shower and Double Bowl Vanity. Second floor Bonus room. Zoned Heating and Cooling for maximum comfort. Backs to mature trees. Beside cul-de-sac. Completion March 2019!